Jade Dragon Snow Mountain is the most southerly snowcapped mountain in the Northern Hemisphere. It is famous for its variant and beautiful natural scenes, and is considered a sacred mountain among the local Naxi ethnic people. It is also a popular hiking destination. 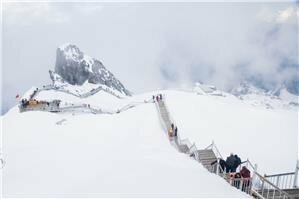 Jade Dragon Snow Mountain stretches 35 kilometers (21.8 miles) from north to south with its highest peak, Shanzidou (扇子陡), reaching an altitude of 5,596 meters (18,360 feet) among 13 other peaks. The mountain is always covered with snow and fog, so that it resembles a silver-white dragon from a distance, hence its name. The summit of the mountain can be seen from the Old Town of Lijiang. 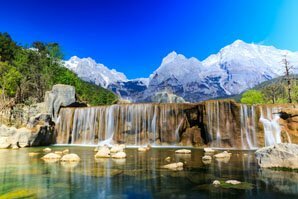 The highlights in the scenic area are Glacier Park, Ganhaizi Meadow, Yak Meadow, White River (Blue Moon Valley), Spruce Meadow, and the Impression Lijiang show. Cable car to Glacier Park, one of the second highest cable car in China. There are three cableways in the scenic area, running to Glacier Park, Spruce Meadow, and Yak Meadow. This is the most popular cableway in the scenic area. It is one of the highest elevation cableways in China. This cableway can take you up to experience the glacier and its surroundings. Once you get off the cable car, there will still be stairs for you to climb to reach a higher peak at an altitude of 4,680 meters (15,354 feet). This short climb is difficult, but you will be rewarded by the beautiful panoramic view. Spruce Meadow is located at an altitude of 3,240 meters (10,630 feet) and is surrounded by lofty spruces. This large meadow is hidden behind ancient woods. Its meadow and forest scenery is peaceful and beautiful. 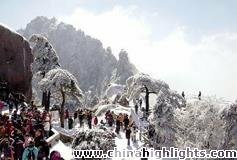 Hike Jade Dragon Snow Mountain and enjoy the spectacular scenery. Another cableway goes to Yak Meadow, which has an elevation of 3,650 meters (11,975 feet). 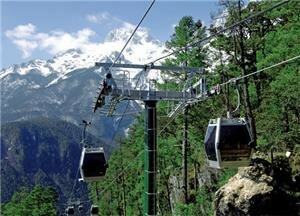 It is the furthest cableway from Lijiang, and it is also the least visited area. Yak Meadow is an area of grass near the high peaks. Taking this cableway, not only will you admire the beautiful scenery of the snowcapped mountain from a great position, but you will also see yaks grazing on the highland grassland. 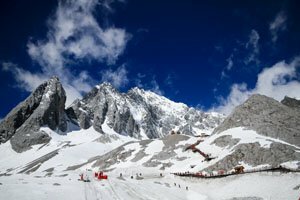 The best time to visit Jade Dragon Snow Mountain is from November to April when enough snow has built up and the sky is clear so that you can have a great view of the snowcapped mountain. 1. 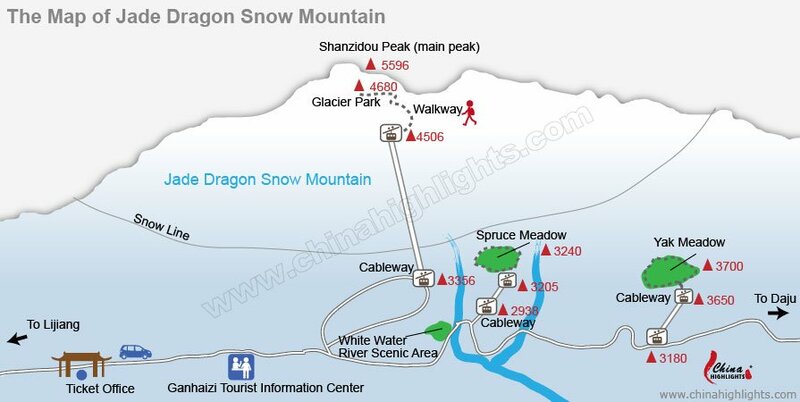 Take a bus from Hongtaiyang Square in Lijiang to Jade Dragon Snow Mountain. 2. You can take a chartered car at a cost of 200 yuan for a round trip. It takes about 40 minutes. 3. 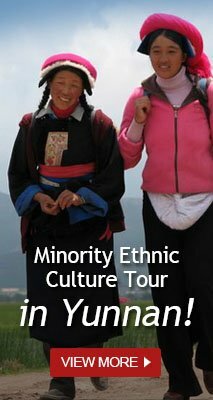 It is much more convenient to book a private tour with us. 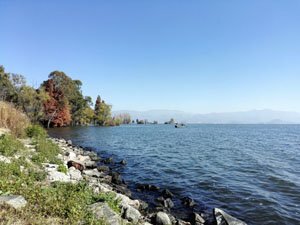 You will enjoy a hassle-free tour with your private driver and guide. 1. You will be advised to take portable oxygen cans in case you experience high-altitude sickness. You can purchase them in supermarkets at the towns, or at the cable car station before going uphill. 2. Be well prepared with thick gloves and warm clothing to overcome the freezing temperature at the top of the mountain. Down jackets are also available to rent at a cost of 50 yuan. 3. Queues for the cableway can last for up to 3 hours during peak season and Chinese public holidays. You’d better avoid those periods or start your tour early in the morning. 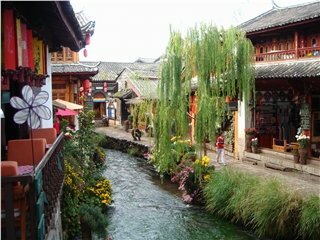 Old Town of Lijiang is China&apos;s best-preserved minority ancient town. It is famous for its ancient architecture and orderly system of waterways. Tiger Leaping Gorge is one of the deepest gorges on Earth, and is the best hiking route in the Lijiang area. 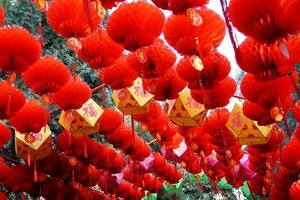 Baisha Village is the earliest settlement of the Naxi people. It is a must-see if you love murals, which combine the cultures of the Han, Tibetan, and Naxi people. Our tours are developed through years of experience and customer feedback. They can be customized to suit your requirements and interests. You can contact us for help.